Rick Owens ribbed stretch-knit top. California-born and Paris-based designer Rick Owens is renowned for his glam-meets-grunge aesthetic and for pushing the boundaries of avant-garde fashion. After launching his eponymous label in 1994, Owens began making waves in the early aughts, earning the approval of Anna Wintour and a cult following for his unusual designs. Done mostly in black, both Owens' men's and women's collections capture a moody urban edge. Linchpins of his romantic, rebellious vision include iconic leather jackets, draped knits, asymmetric dresses, and unconventional cuts and proportions. For in-store inquiries, use sku #2309935. 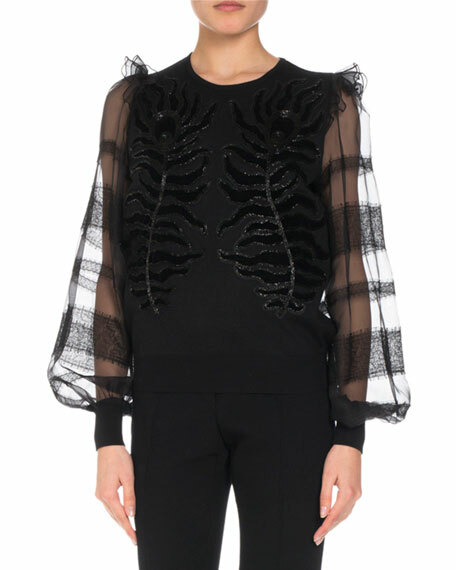 Andrew Gn knit top with embroidered leaf detail at front. Crew neckline; half back zip. Long, organza and lace sleeves. 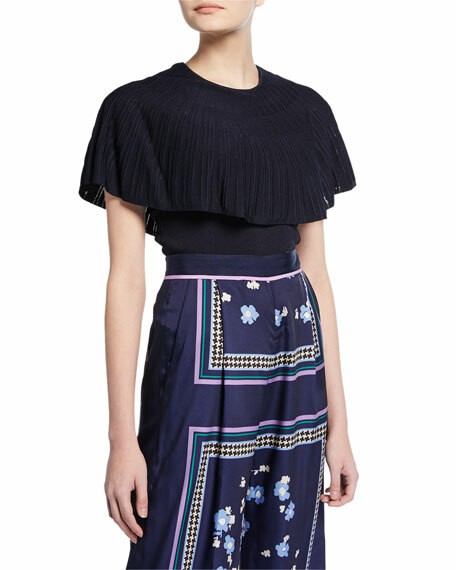 Ruffle detail at shoulders. Virgin wool/silk/viscose/polyester. Made in France. 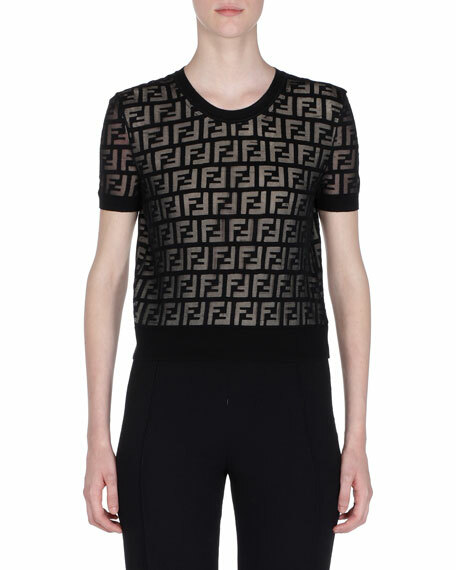 Fendi top in logo devore stretch knit. Crew neckline. Short sleeves. 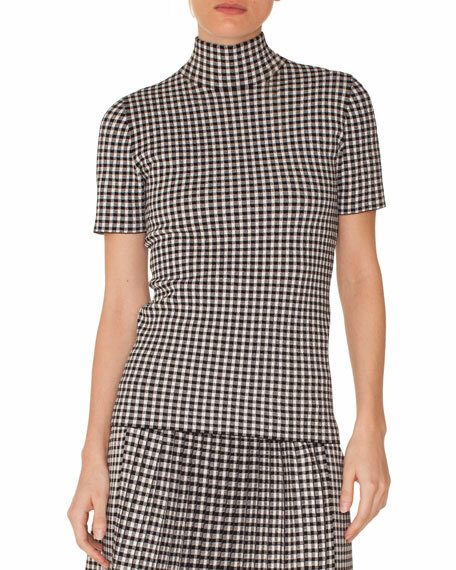 Cropped, boxy fit. Pullover style. Cotton/polyester. Lining, viscose/spandex. Made in Italy. Lela Rose sweater in stretch knit, featuring hammered chiffon capelet detail. Crew neckline. Short sleeves. Semi-fitted. Pullover style. Viscose/Elite® rayon. Imported.